Fresh, summery and perfect for weeknight light dinner. There is a debate whether this salad is served with lettuce or not, we have seen it both ways and taste just as good. We see no possibility of harming the outcome by adding more veggies to your meal! Cut tomato into wedges. Thinly slice the onion. Peel the cucumber and dice. Remove the seeds of the bell pepper and slice into rings. Cut the olives by half. Transfer all into a medium bowl with lettuce. In a small bowl whisk the olive oil, vinegar, ground pepper and salt. Pour over the salad and toss everything with your clean hands or tongs. Top with block of feta (or crumble and scatter if you prefer). Sprinkle the oregano and serve. Source: Adapted from Jamie Does by Jamie Oliver. 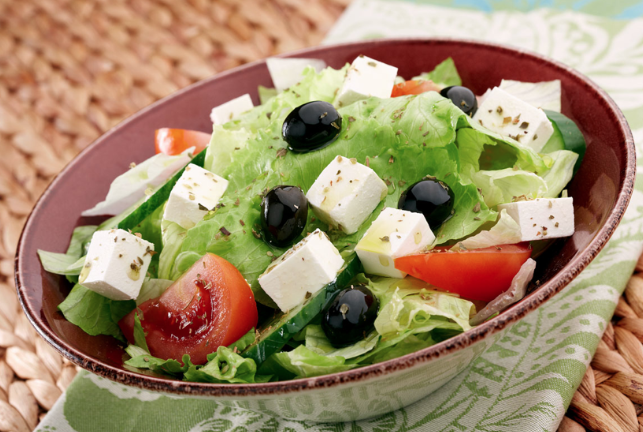 Categories: Cucumber, Lettuce, Onions, Recipes, Tomatoes | Tags: feta cheese, Greek, olives, salad | Permalink. For some, the idea of a soup packed with onions is not something appealing when deciding what to eat. Mind you, when it is properly made, it is rather tasty! Place a pan on medium heat, melt the butter and add the onions; cook until deep golden brown (not burned). Stir in salt, and sugar to help in the caramelization process; stir frequently. Sprinkle the flour and stir. Pour in the wine, stir thoroughly, bring to a boil then reduce to a simmer until it has evaporated. Pour in the stock, add the bay leaf and thyme. Bring again to a simmer. Discard the bay leaf and thyme. Season to taste. Set aside. For serving, there are two options: you can either serve the soup individually into oven-proof bowls, top with the slices of bread, sprinkle with cheese and put into the broiler at 200 degrees Celsius for 5 minutes; or, you could place the baguette slices on a baking sheet, sprinkle with cheese and put into the broiler for 5 minutes; then serve each bowl topped with the cheesy bread. Source: Adapted from Food Network. 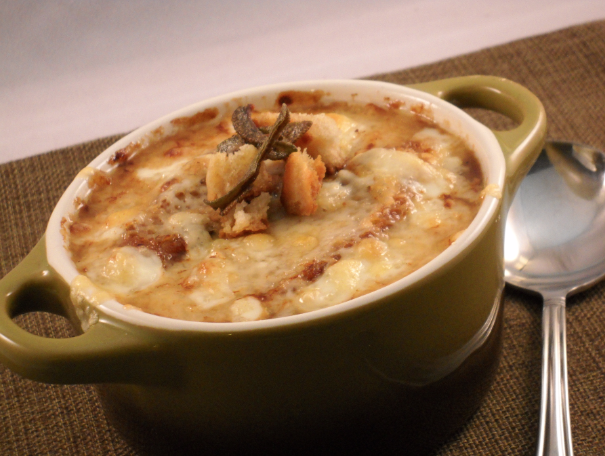 Categories: Onions, Recipes | Tags: French, soup | Permalink. Our hydroponic celery and red pepper add a nice pop of color against the pasta in this salad. As it contains pasta, it can be served warm (just about when the pasta is ready) or you can let it chill for a few minutes and serve cold. We believe in keeping a healthy diet and avoid extra fat; therefore, we use natural yogurt as the dressing instead of mayonnaise. Cook the pasta shells following the manufacturer’s instructions. While the pasta cooks, dice the onion, celery and bell pepper and place them on a medium bowl. 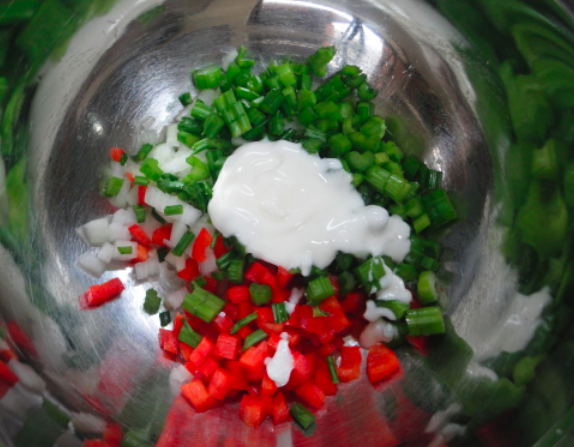 Add the natural yogurt, salt and pepper. Carefully open the tuna cans, drain the water and separate the pieces and place them with the vegetables. Mix well. When the pasta is ready, drain it and toss it into the bowl. Mix everything together. 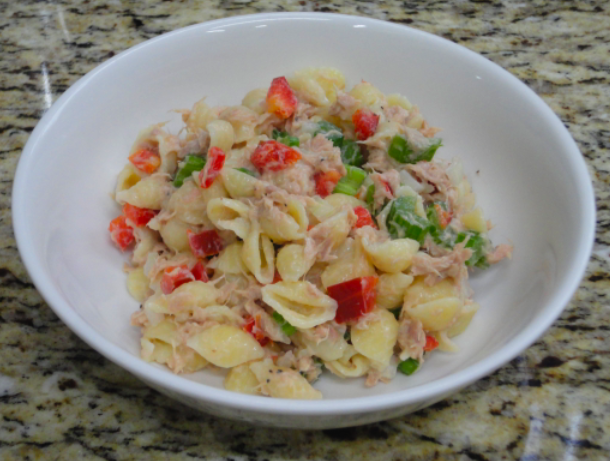 Categories: Bell Pepper, Celery, Onions, Recipes | Tags: natural yogurt, pasta shells, salad, tuna | Permalink.